Organize and shop your own closet to save time and money | Save. Spend. Splurge. I like going through my wardrobe, I like cleaning (purging, de-cluttering) and organizing it, and knowing what I have, so I can dream up of new outfits so I can shop my own closet easily. Once I started going through and itemizing items and cleaning it out, I realized I had a LOT of grey sweaters. 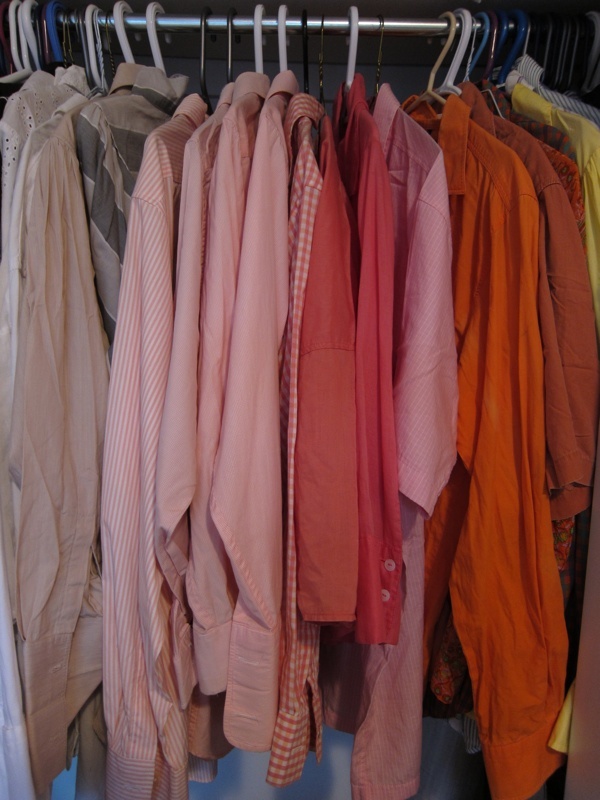 In fact, it was the main colour in my closet as a neutral. I realized that it was also the reason why I never reached for certain items because I chose my favourite grey sweater every time (‘Only grey sweaters, AGAIN?’). Now that I know what I already own, and I won’t be tempted to buy yet anything similar to what I already own, like another red wrap dress. Granted, these items look really nice on her skin tone, but she doesn’t really need yet another pink shirt or yellow vest. It can be hard not to want a new outfit after you see people wear different things, or a certain striped shirt you think would be perfect in your closet. The truth of the matter is you may already have the components for a similar outfit (or at least, I KNOW I do), and you may just need a small accessory like a red belt to finish it off. I “shop” my own closet, by going through, organizing it, purging pieces I know have gone unworn for too long, and really scrutinizing if I should keep an item or not. At the end of the exercise, I usually end up creating new outfits and my desire to buy new things disappears after I realize I can’t really fit any more into my suitcases unless I get rid of other items. This is an exercise I go through on a regular basis. It can be easy to lust after new items, but are you missing other key essential pieces to tie everything together? If so, then you might be wasting your money on yet another pair of jeans, but are missing the right pair of business casual herringbone trousers to wear with 50% of your wardrobe. 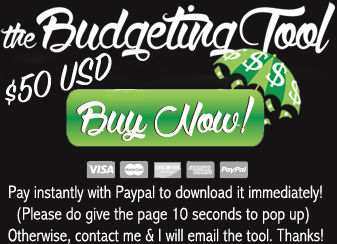 You won’t waste less money because you will stick to your list! Of course, in between looking for these Wardrobe Wants, I found pieces that were not really on my list, but overall, I’ve stopped myself from buying things I know I already have duplicates of in my wardrobe. ← What do Americans buy and where does the money go? There are some apps to catalog too although I looked at a few but never really used any. Shortly after downloading I moved to Maui and it kind of became unnecessary as I’m in jeans and a T nearly every day. I love to go through my own closet although I probably spend way too mucy time doing so but yes, you start to see your “patterns” and “gaps”. I realized recently I do buy too much of what I use nearly every day (casual clothes) and I don’t need any more so I did buy a few dresses that could be dressed for day business attire or could also be worn at a casual evening event or a day charity event by changing up the shoes and accessories. Although I don’t need a whole wardrobe of business appropriate clothes, I do need at least two for those times I have to attend a meeting, after work or other event where ripped jeans and a black T won’t suffice! Since I no longer fit into my old ones, I was lacking in that area. Finding a piece at the last minute as needed doesn’t work on Maui where the shopping is quite limited so I need to be prepared. I’ve stopped shopping as much as possible. I’m really trying to stick to vintage pieces, and to reuse what I have in my wardrobe. I did fall into the trap of buying 2 scarves in Paris, but so far, I haven’t added on any other items! Awesome Idea! I just finished cataloging my pants and skirts. Dresses and shirts next. Picasa is a great tool – thanks for the suggestion! Love the Frye flats. 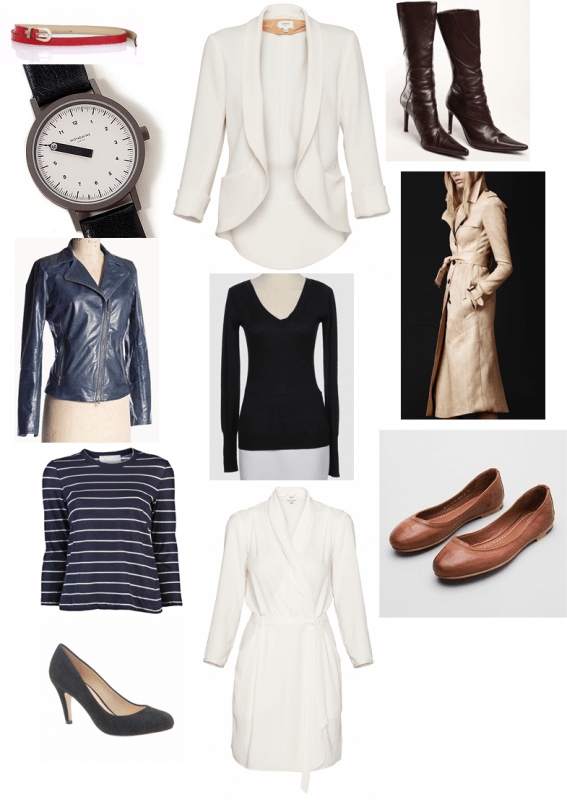 Question for you: If you were building/acquiring a professional wardrobe for the first time, what would be your most minimalist list of must-haves to get you through about 12 weeks of full-time working? Oo I love these questions!!! That’s it. That’s kind of how I pack every week for work. Fantastic advise; I’ll probably do one blazer and one sweater and non-wrap dresses (suiting dresses?) because I need to be pretty formal . And even better- I have everything on this list except for the dresses. Win! I don’t do this but want (and need) to badly. It is really refreshing and freeing! !